Heeft u een vraag voor Hotel Tamizh Park? 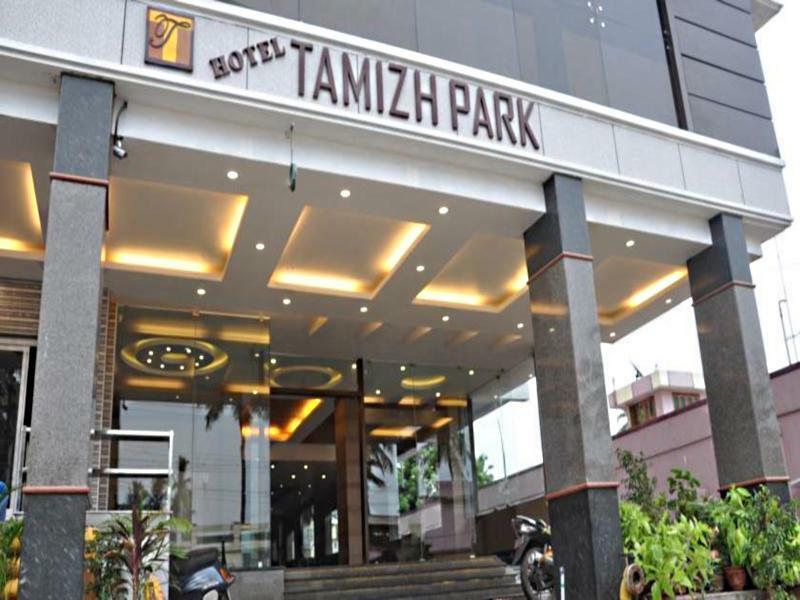 Gesitueerd in het gezellige Pondicherry centrum, geniet het Hotel Tamizh Park in Pondicherry een goede reputatie onder reizigers met een interesse in bezichtiging van bezienswaardigheden, stranden, cultuur. Het hotel ligt 4.8 km van het stadscentrum en de belangrijkste faciliteiten zijn dus goed bereikbaar. Niet minder uitzonderlijk is het feit dat zoveel attracties en monumenten in de buurt liggen, zoals Botanische Tuinen, Pondicherry Botanical Gardens, Luchthaven Pondicherry. Bij het Hotel Tamizh Park staan de excellente dienstverlening en superieure faciliteiten garant voor een onvergetelijk verblijf. Terwijl u verblijft in deze geweldige accommodatie, geniet u van faciliteiten als gratis wi-fi in alle kamers, 24-uur receptie, faciliteiten voor mindervaliden, snel in- en uitchecken, bagageopslag. Ervaar kamerfaciliteiten van hoge kwaliteit, inclusief plasma tv, internet (draadloos), draadloos internet (gratis), rookvrije kamers, airconditioning, om tot rust te komen na een lange dag. Daarnaast garanderen de talrijke recreatieve mogelijkheden dat u zich tijdens uw verblijf kunt vermaken in het hotel. 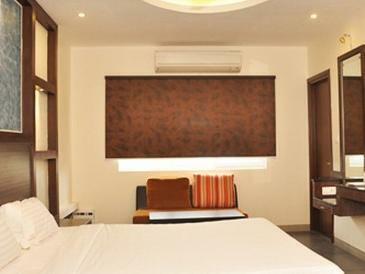 Als u zoekt naar comfort en gemak in Pondicherry, dan is het Hotel Tamizh Park uw thuis ver weg van huis. Staff interested in direct booking & bargaining. The hotel located near town and nearby have lots shops lots. Very humble and friendly staffs. Service boys are good , security person are polite. Clean rooms. No liquor / snacks available in mini bar of the rooms. Few rooms are not even having refrigerator. 2.5k per night is too much for the provided facility, there are better rooms in pondy for the same price Management is denied to revert the charges for extra bed though they not provided it and there is less 2 members than booked count. In short the facility and reception person are not supportive for client. Had a good dinner...the chief chef prepared a good dinner for us. The best part of the stay was food which was very much HOMELY! I dont feel good for what i have paid. The extra bed looks bad, the room too small. breakfast, totally not much varieties. 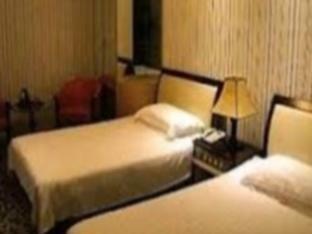 The hotel is at a good location for business travelers. But, it is far from the sea and in a not so good location for tourists. Otherwise, the staff are well behaved, Services are good. Cleanliness need to be improved. First night was noisy for us as some party was going on in front of the room. There are also not many options for breakfast. check in process were smooth and fast. staff in front office were polite and frendly at date 21 sept night. Beautiful facility, near shopping and public transportation. Grounds were immaculate, staff was amazing. awesome food!. Bed was very comfortable. Very pleasant experience. Would stay here again for sure. 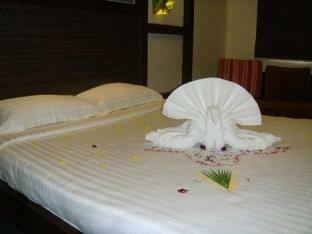 The hospitality and the staffs are not professional. They need to improve the quality of the breakfast and room service with better and well behaved staffs. The staff was welcoming and helpful and also ready to assist. The cable TV channels were only in Tamil, nothing in English or Hindi, something we missed. The hotel is too far from city, you will land up in spending more for the transport. No shops and not a good location for entertainment. Very far to all the attractions. About the hotel worst room service. I asked for ice cubes they said no stock i ordered a large ice cubes came not a good customer service experience. Money minded hotel. Food items too expensive but not worth to money. Breakfast nothing was there when we went at 8.45am no one bothered to refill even after informing it took 20min to replace the basic items landed up in eating bread with my family. Worst experience not worth for money. About the room - Room is good but no hot-water no proper response from room service. Overall feedback – Not worth for the money we pay kind advise don’t choose this hotel you will be a looser I am surprised how this hotel got a 7 rating . People are not giving true feedback . Stay was quite decent. Deluxe room was big enough for a couple. Major letdwon was the buffet breakfast. There was a North Indian tour group and they were staying at the same time as us. Free buffet breakfast time was 7:45 to 10 AM. On saturday morning,we went down around 8:15 AM. The whole tour gang finished everything and the staff said that they dont have raw materials to refill the buffet items. We had to settle on roasted breads with Jam and some eggs. It was as if the hotel does not care about the other guests(non-tour) or they dont give a care if the other guests ate or not. It is all about fulfilling the tour gang. I wish the hotel closed the reservations for other guests during that weekend. Please be mindful that there were only 35 guests from that tour package and hotel had atleast 12-14 people going with disappointment because of this breakfast shortage. SO, it was a bad experience for me and my wife. I would not recomment Tamizh park to any of my friends in Chennai. It is also 4-5 kms far away from the main city. Overall, a bad experience.